Are you feeling sad? Does the world seem to be oppressive and overwhelming? Do you just need a break from all of the nonstop drama that seems to be the price that we pay for every day of our existence? If you answered yes, all I can say is that I know where you’re coming from. Seriously, looking out at the world today, it can become easy to get depressed, disillusioned, cynical, and kinda tedious. 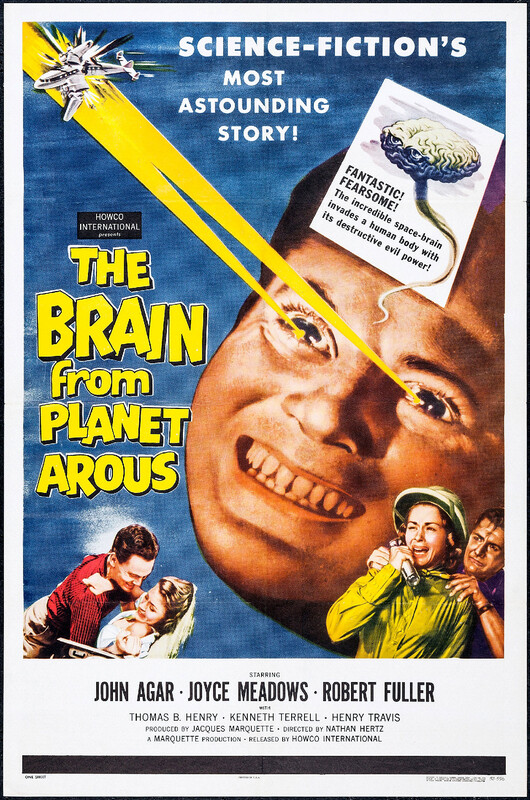 Whenever I feel this way, I’m glad that — 60 years ago — a director named Nathan Juran made a movie called The Brain From Planet Arous. Look, the plot is actually not very important, which is a good thing because the film’s story is nearly impossible to follow anyway. While watching, it’s hard not to feel that the movie’s producers had a big, rubber brain laying around and they didn’t want to waste it so, one weekend, they just made up a movie on the spot. But, again, that’s ultimately not important. What is important is that this film features two giant brains floating around and arguing. It also features an adorable dog and some atomic weapon testing stock footage. It’s not good but it’s a lot of fun. Sadly, I’ve read that director Nathan Juran thought so little of this film that he was credited under a fake name. That’s a shame because you know what? 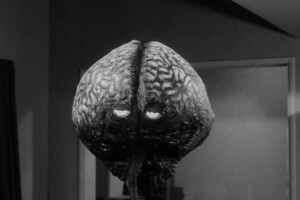 The Brain From Planet Arous makes me happy and it’ll make you happy too. 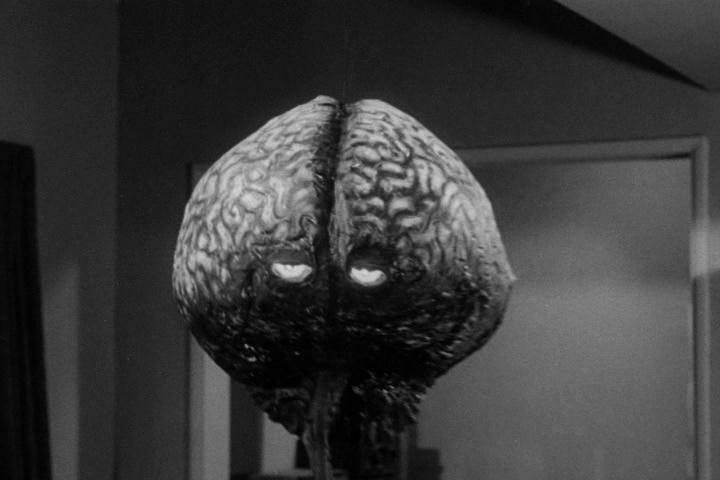 There really aren’t many films out there about floating space brains, especially ones that bicker. If nothing else, Juran should have taken some pride in being the first to recognize the entertainment value of giant, evil brain with glowing eyes. When last I checked, it could be found on YouTube so, the next time you want to agonize over the state of the world, don’t go on twitter and post a 100-tweet thread that nobody’s going to actually read anyway. Don’t go on Facebook and demand that everyone like some dumbass meme that’s not as clever as you think it is. Instead, watch The Brain From Planet Arous and enjoy! Today, we laugh because tomorrow, we may be possessed by a floating space brain!